Grass clippings, when blown into the street, sidewalks and driveways, are picked up by stormwater runoff during rain events and washed down storm drains into the Lagoon. Once in the Lagoon, they begin to decay and contribute to the accumulation of muck in the bottom of the Lagoon. Blow them back onto your lawn. Did you know that the annual amount of grass clippings produced by your lawn covers 1/3 of its feeding requirement? That’s right! By blowing your grass clippings back onto your lawn, you’re not only keeping them out of the Lagoon—you’re feeding your lawn and reducing your fertilizer use too! Make grass clippings tea. Collect your grass clippings and steep them in water for about three days. During that time, essential minerals and nutrients, such as potassium, nitrogen and phosphorus, will be released into the water. After three days, remove the clippings and use the remaining liquid to naturally fertilize plants. Compost them. Every compost needs both “green,” containing nitrogen, and “brown,” containing carbon, materials in order for the process to work. Grass clippings are a great “green” source that can balance your compost. Mulch your garden beds. 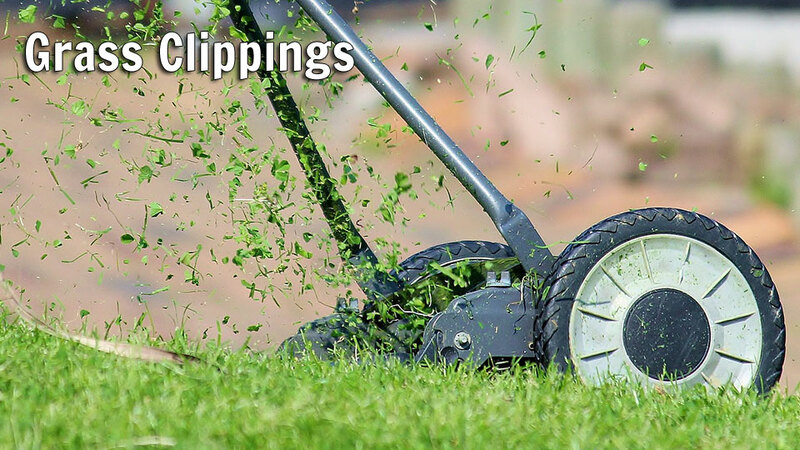 Grass clippings work well as mulch due to their ability to keep moisture in and provide nutrients that your plants need to grow. They also make a great addition when mixed into soil for gardening or raised garden beds. Use it as feed. If you don’t use any chemicals on your lawn, your grass clippings can make a great source of food for cattle and sheep. It’s easier to digest and provides essential nutrients. If you don’t have your own livestock, see if there is someone in your area that could use it. July 22, 2018 61dugong Comments Off on How Does Your Lawn Hurt the Lagoon?